While at a model railway show I was introduced to a police officer dressed in full gear including gun and tazer who said he "wanted to talk with me", of course your mind runs wild...I don't remember doing anything wrong...no illegal parking...no speeding....OMG, perhaps my house was burgled. 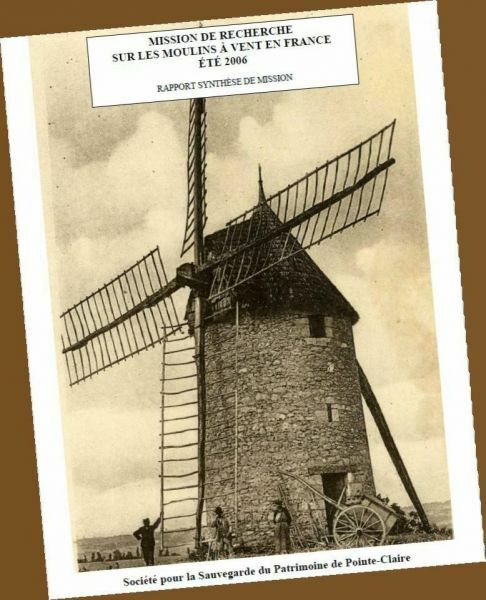 You can imagine my relief when he said "I believe you are a model maker, I need someone to build a model of a windmill that used to be in Pozieres and was destroyed in World War 1"
The model is to be presented to the Mayor of Pozieres sometime this week and I believe it will be placed in the museum. 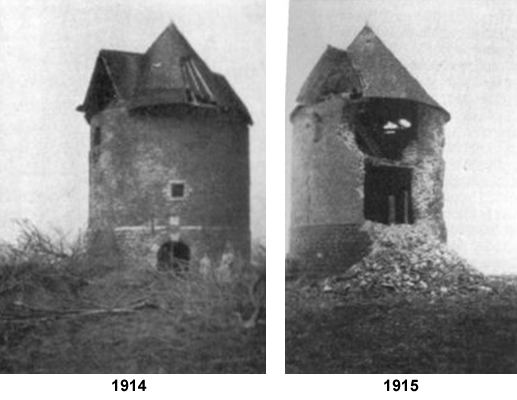 Nigel (the police officer) was able to send me some photos of what the Mill looked like and a couple of other confusing shots that as it turned out were not the mill at Pozieres. 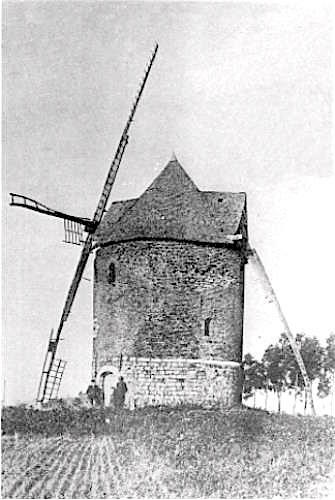 Some research on the net and I found that the mill was a French tower mill and I was able to find a document that indicated the sail construction. All aside this was an interesting model to build with a sad history as the mill was never reconstructed after the war. Very nice Robyn, will it give you some brownie points if you should accidentally exceed the speed limit by 3kph? MaxSouthOz wrote: You've nailed it, Robyn. Yipeee! I got an Elephant stamp woohooo. Thank you Max. Sol wrote: Very nice Robyn, will it give you some brownie points if you should accidentally exceed the speed limit by 3kph? 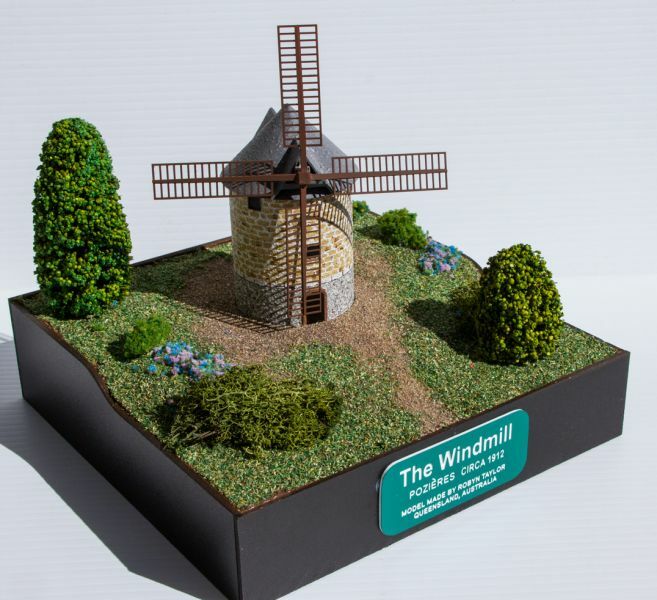 I wish, I reckon it might take more than a model windmill to get away with that. Great job Robyn – love it! Gordon Curtis wrote: Great job Robyn – love it! 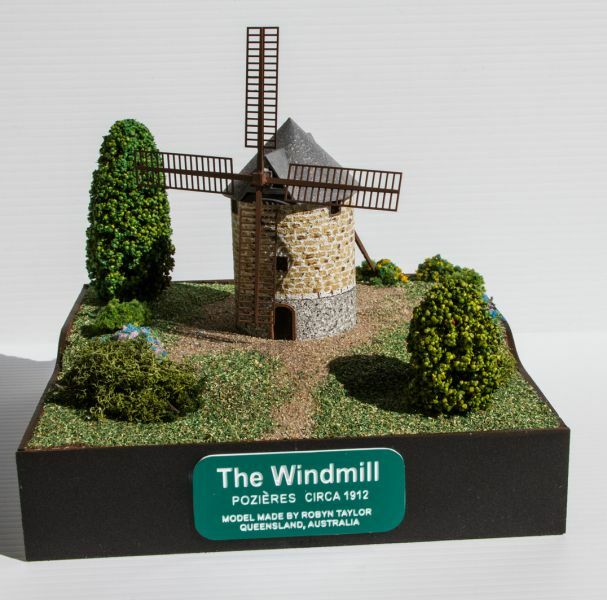 Would you believe that I have two members of our club who want a windmill on their layout now. Perhaps they are addictive. Very nice model Robyn. Nicely presented too. How about some details of how it was constructed? Nothing to directly do with modelling, but in my bit of Derbyshire the local mills used to park their sails either with one vertically "+" or at forty-five degrees "X" to show the local farmers if they were milling that day or not. All except Heage Windmill (which still operates) as that has six sails. Just another uselss fact from my cluttered brain. Surely if they were milling, the blades would be rotating, Rob? I really should start to put up some tutorials, it seems that a lot of the things I do are a bit of a rush and the last thing I think of is photographing the steps in building the item. Most of what I do is achieved quickly and the methods I use are not difficult, so let's do this, I will start a new thread on building this windmill exactly the same as the original and I can present it to the guy who made this happen. I will start this tonight and put a link in this thread. rob_b2805 wrote: Nothing to directly do with modelling, but in my bit of Derbyshire the local mills used to park their sails either with one vertically "+" or at forty-five degrees "X" to show the local farmers if they were milling that day or not. All except Heage Windmill (which still operates) as that has six sails. Interesting information Rob, I based my model on these photos where the sails were in the + direction. I really had no idea what was right or wrong so the original photos won. I have started a tutorial on how I made the windmill model, if you are interested here is the link. 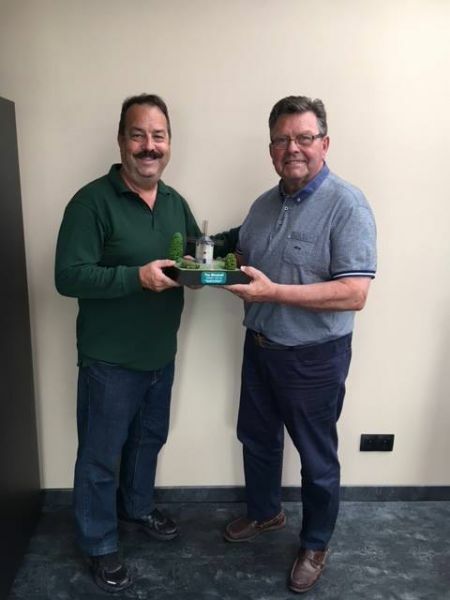 The model of the windmill was presented to the Mayor of Pozieres today. Thank goodness it survived the journey as those sails were quite delicate, I can breathe a sigh of relief.